Tel Aviv-based wine writer Chaim Helfgott charts the rise of Israel’s Domaine du Castel – a much-celebrated winery that began as a hobby. Dear Dalia, Thank you so much for bringing over that fantastic 1992 Castel made by Mr. Ben Zaken. I tried it with my husband David Peppercorn (also an MW) and we both thought it absolutely terrific… The wine is a real tour de force, brilliantly made and very ‘classic’. Please give him our congratulations… Serena Sutcliffe MW, head of wine department, Sotheby’s. Eli was not sure that he had heard correctly, so he asked his wife to read it to him again, and then again a few more times, and then he started to cry. Eli was born in Alexandria in Egypt in 1944, after his grandfather had emigrated there from Morocco. Being Jewish, his family could not obtain Egyptian citizenship. His father, who owned an agency of an Italian Company, was offered a job as a production manager in Milan, and in 1958 they traveled there on a one-way ticket. As there were no English-speaking schools in Milan, Eli spent six lonely years in boarding schools in the UK. Exactly twelve years after the family’s departure from Egypt, on September 20, 1970, Eli decided to leave the UK and head to Israel with his family. To encourage the purchase of houses in agricultural villages, the Israeli government offered a discounted mortgage scheme. Thanks to this incentive, Eli was able to buy a house on the edge of Ramat Raziel, an agricultural village some 17 kilometers from Jerusalem. He decided to establish a riding school in 1973 and purchased twelve horses, but this project was cut short by the outbreak of the Yom Kippur War. Eli was deployed for six months, and it wasn’t long until his business collapsed. In 1980, with financial help from his friends, Eli and his wife Monique started a homemade pizza and pasta restaurant in Jerusalem. Realizing that he was likely to lose the land that came with his house by keeping it barren, in 1988 Eli planted a ten-acre vineyard. 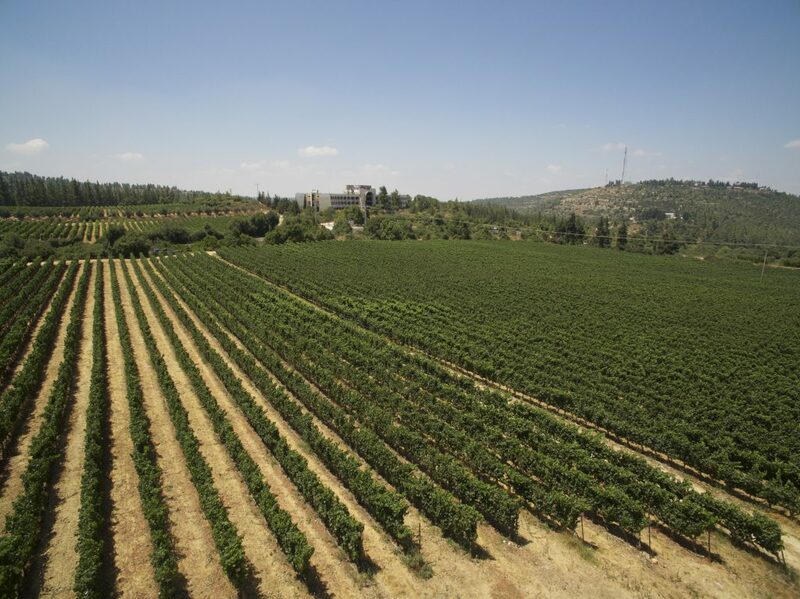 These were the first grapes planted on the Judean Hills, which has become one of the prime terroirs in Israel, now with over 300 hectares under vine. Though he previously didn’t like wine, working in the restaurant exposed Eli to its virtues, and he started to consider winemaking – at least as a hobby. Being an autodidact, he soon learned how to make wine from Emile Peynaud’s books. With the assistance of Sasson Ben Aharon, the manager of a laboratory that performed wine analysis, he started to experiment. In 1995 he decided to actually bottle the two barrels that he had produced from his plot, and 600 bottles were made in an old stable by his house. Serena Sutcliffe’s fax in 1995 was a seminal moment in the history of the winery, a moment Eli described as being like a train entering the station and posing the dilemma of whether or not to get on it. At first he just made copies of the fax and showed it to whomever was around. He could have stopped at that, but Eli decided to get on the train. He turned a chicken coop that was adjacent to the house into a winery, densely planted another 25 acres in nearby Zuba, and enlarged the vineyard at Ramat Raziel. He had a calling, as if – in his words – somebody had taken him by the hand and had led him to the next station. In 1992 New World-style wine enjoyed immense popularity, especially in Israel. This was partly thanks to the quality of the Golan Heights Winery which was producing wine under the supervision of California-trained winemakers. Despite this popularity, Eli decided to turn away from it and looked to Bordeaux for his inspiration. Yair Haidu, one of the best-respected wine experts in Israel and the one-time European manager of Riedel Glasses, brought Eli’s French-focused style to my attention. The French influence was evident: he named his winery ‘Domaine Du Castel’ (the only ‘domaine‘ in Israel); the wine is a ‘grand vin’ and no varieties are mentioned on the front label; the region is named ‘Haute-Judee‘ (others call the region Judean Hills); and all text is in French. Consequently, anyone holding a bottle would naturally assume it was a French wine, except for the small lettering ‘Product of Israel’. Yair likens Castel’s red wine to a Bordeaux and the most Old-World style wine produced in Israel. It is currently one of the best and is often mistaken in blind tastings as a Bordeaux of a classed growth level. 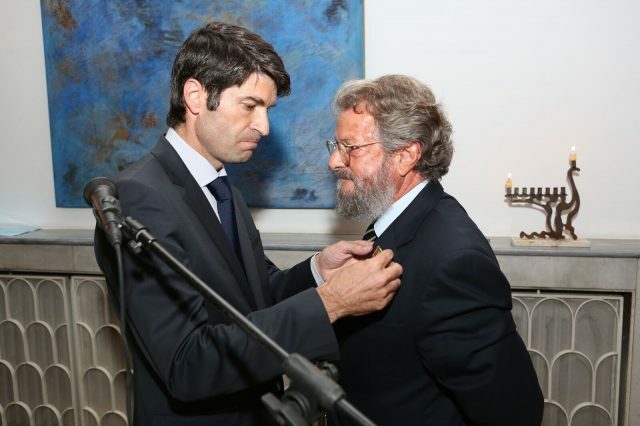 The French influence is so strong that Eli was awarded a National Order of Agricultural Merit medal by the French Minister of Agriculture for excellence in agriculture. The quality of Castel wines represents French values by “practicing a viticulture inspired Bordeaux methods.” Numerous times now this estate has been written up in the French press by publications such as Le Figaro, Le Point and others. Peynaud’s advice that in order to improve the quality of the first wine a second wine is needed gave birth to the merlot-denominated Petite Castel. With less ageing potential than the Grand Vin, this is a wine that is terrific in its youth. The initial 1,200-bottle production was sold in France in a single day. A visit to Puligny Montrachet, where Eli tasted a local white wine that he thought tasted like a red inspired in 1998 the production of a Burgundy-like, barrel-fermented Chardonnay aged sur lie in French oak barriques called “C”. To produce a Burgundian-style Chardonnay in Israel is not an easy task, and the learning curve was a bit steeper than for the Cabernet-based wines. Twenty percent of the grapes are now picked early, 20% late and the rest at the usual time. 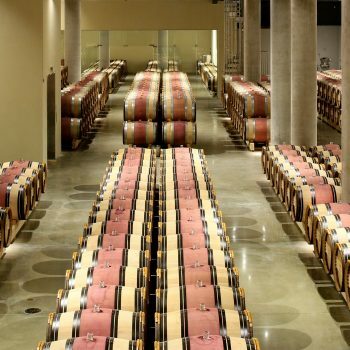 Wines are aged on their lees and they undergo constant bâtonnage. In 2014 the “C” reached even higher levels of quality with a leaner, more precise type of wine with a nose that ‘reveals’ a Burgundy origin with citrus and tropical fruit. Eli is constantly looking for and absorbing feedback, which he uses as an opportunity to improve. He is never totally satisfied with the quality of his wines and isn’t afraid to ask for advice from his peers, wine writers and anyone knowledgeable in the subject. In 2009, when he felt that he needed assistance to progress further, he hired Dr. Pascal Chatonnet of the University of Bordeaux, a Consulting Oenologist (an advisor to Vega Sicilia, no less), as his closest advisor. Dr. Chatonnet’s thesis was centered on the influence of oak on the quality of the wine, as well as on the blending process. 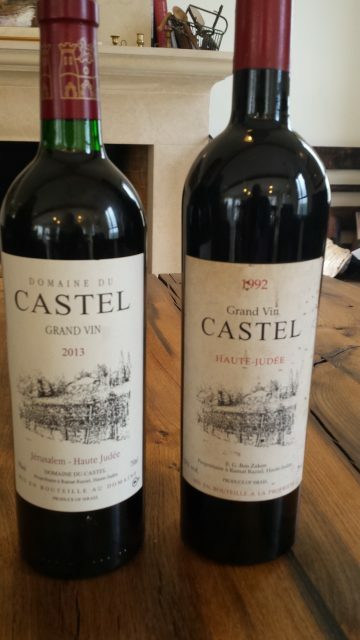 Castel’s wines continued to catch the attention of the world’s wine experts, and in 1998 the estate was included in Hugh Johnson’s Pocket Book of Wine. In February 2001 the tasters of Decanter Magazine were “most surprised to see two wines from Israel, let alone from the same property,” they selected Castel’s Grand Vin 1997 and Castel “C” 1999 as the recommended wines of the month. Grand Vin 1998 was also selected as the wine of the month with tasting notes that read as follows: “The wine is delicate and silky with a delicious layer of black fruit. Great balance with good concentration of black fruit.” Following this review, Domaine du Castel was invited by Decanter Magazine to participate at the “Rising Star” event in 2001. In 2002 both the Grand Vin 1998 and the white “C” 2000 were selected among the Wines Of The Year by Decanter Magazine. Success meant exports to Europe, Japan, and the US, resulting in increased volume of production from 50 cases in 1992 to 1,200 cases in 1996, 10,000 cases in 2003, and 20,000 cases currently. However, just when everything seemed to be working for the Castel winery, in 2002 Eli had to close his restaurant, which had been the source of the cash flow which had facilitated the investments in the winery. This was due to the economy’s decline following severe terrorist activities, during which the demand in Israel for fine wine also decreased. Unfortunately, this came at a time when the 2000 harvest was already in the barrel and there was a few million dollars’ worth of stock in the cellars. To make matters even worse, the bank, which had loaned Eli money against the restaurant, called in the loan. Eli’s youngest son, Ariel, who had spent two years in Burgundy working for Michel Picard at Domaine Emile Voarick and studying winemaking in Beaune, was given the task of sorting out the financial difficulties. The restaurant’s building was sold and Ariel set up financial arrangements with his bank based solely on the activities of the winery. The end of the terrorist activities helped the situation as did increased sales to the US. 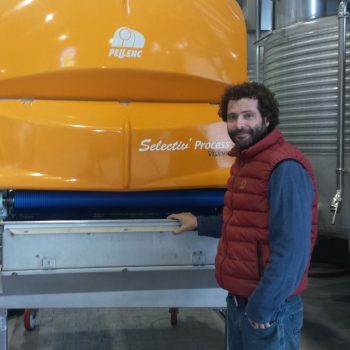 Things began to move in a more healthy direction, and profits from the operation were reinvested into the winery so that by 2015, twenty years following the release of the first vintage, Castel was able to move to a new state-of-the-art winery, where the juice is moved by gravity, and grapes are sorted by an optical sorting table. The next aim is for production to move to 250,000 cases while maintaining the ethos and founding principles of the winery. Castel Winery remains a family business: Ariel serves as the CEO, Eitan (the eldest son) takes care of operations, and Ilana, Eli’s oldest daughter, is in charge of marketing and purchases. Eli now does marketing for special occasions and continues to be the winemaker. Serena Sutcliff MW has always been considered the godmother of the winery, and on the 20th anniversary of her now-famous fax, she tasted some of Castel’s wines and her notes are reproduced below. 2005 – Tremendous, rich, come-hither nose – big-time Chardonnay, intense and all-enveloping. California style. Grapefruity opulence, with a touch of mangoes and then bananas at the end. 2013 – A nose that takes you straight to Burgundy. Real vanilla, toast, oranges and mangoes on the palate. I love the citrus element. Impressive. 2014 – Very toasty nose. The oak is still present at this early stage. Rich, round, grapey and orangey. Very luscious and vanillin. Sleek and creamy. 2005 – This bottle was a touch corked but, underneath, it had a fragrant, cedary nose and a ‘classic’ profile. A real cherries and liqueur taste, rich and mouth-filling, with elements of cassis and tobacco. 2007 – Spicy red cherries nose, a real follow-on from the 2005. Black cherries taste, with liquorice and glycerol. Some toffee on the finish. 2008 – The nose is very ‘Bordelais’, with notes of cassis. Strong Cabernet flavours on the palate. Very harmonious, with an excellent ripeness/acidity balance. Juicy and fruity. Very winning and a personal favourite. 2011 – A fresh, very ‘Claretty’ nose. A real taste of bilberries and blueberries, with a silky/creamy texture and a long finish. The fruit almost provides a meal in itself!